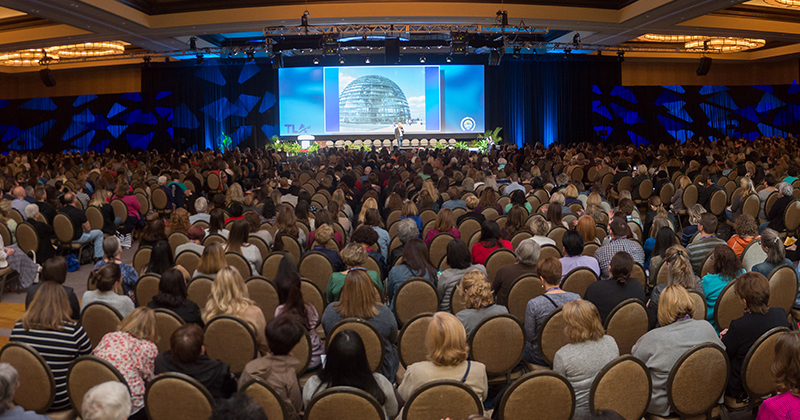 The TLA Annual Conference features over 400 sessions and events, and more than 1,500 presenters. The proposal process is highly competitive, and every year the Conference Programming Committee reviews hundreds of submissions. The majority of conference programs originate from groups within the association. TLA accepts program proposals from January 1 to June 30 to be considered for the next year’s conference. TLA notifies individuals only if their programs are accepted by a TLA unit or the Conference program committee. If you have a question about your program status, please contact the chair of the Program Proposals Subcommittee. In addition to general sessions and individual programs, there are many other opportunities to present at the TLA Annual Conference, including the Innovation Lab; Collaboration Space; Great Ideas Lightning Talks & Posters; and Contributed Papers.